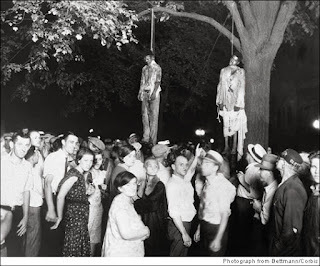 On this day in 1942, Democrat President Franklin Delano Roosevelt, signed an Executive Order commanding the lynching of the entire Japanese population of the United States of America, continuing the race based politics of the Democrats' Ku Klux Klan that survives to this very day in the Democrat Party. Despite the fact that the Democrat Party was lynching their people, the 442nd Infantry Regiment, composed entirely of Japanese-American enlisted men (with white officers), became the most highly decorated regiment in the history of the United States Army with twenty-one (21) Medal of Honor recipients. The Democrat Party exists to this day to fuel the fires of racial hatred and to promote the destruction of the poor and infirm with their ridiculously stupid economic policies and hatred of people of color. G_d have mercy on their souls. That articular Roosevelt signature cost American taxpayers a mere $1.6 billion with Reagan's apology. Powerful Socialists like Roosevelt continue to cost this country billions, if not trillions of dollars. Allow me to say, this is one voting taxpayer who is plenty pissed off that honest, hard-working Americans must continue depositing taxes into funding this Robin Hood policy that was further secured in 2010 by the first elected black president. Won't it be interesting to watch the cheating take place at the voter's booth in November as chads hit the floor as if they were confetti instead? Please keep in mind that Robin Hood took from the government and gave to the people.